You can use a hair dryer to fix a dent in your car body. Use the dryer to heat the area, then apply dry ice to fix the damage on your car. Even the most conscientious drivers sometimes have accidents. Whether you backed into a pole when leaving the grocery store or someone parked next to you swung their car door into yours, the reasons don't change the fact you're left with an unsightly dent. Oftentimes, minor or not-so-minor blemishes like these cost less than your insurance's deductible but more than you're willing to spend out of pocket. 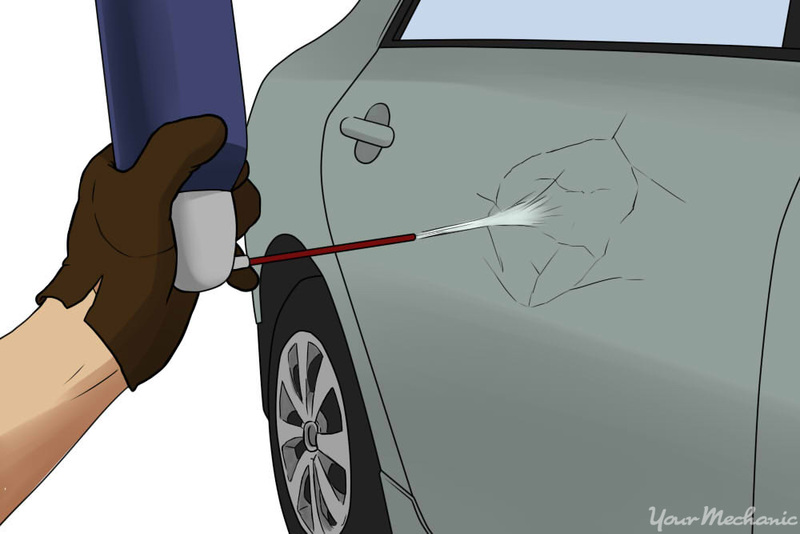 In such situations, many dents can be repaired without enlisting the help of a body shop. 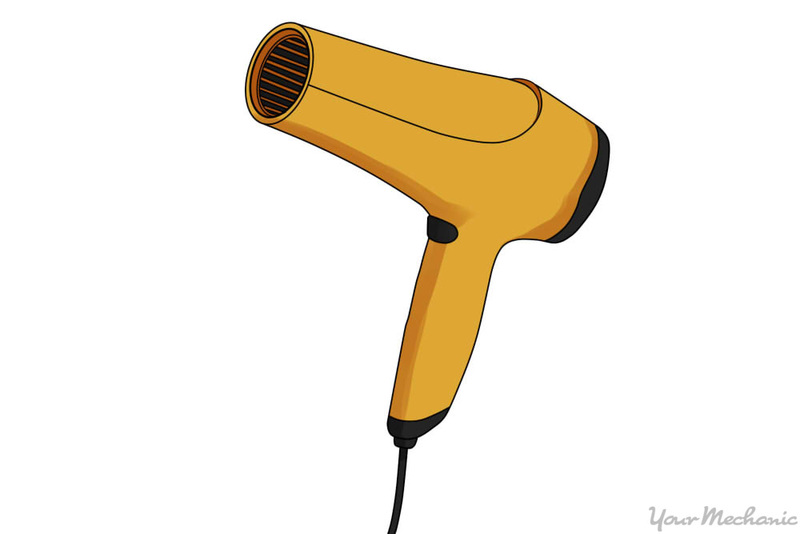 You can use materials you may already have on hand, such as a hair dryer. While you can't hang out your shingle as an auto body repair person with just your hair dryer and a few other tools on hand, you can save yourself a sizable sum by attempting a do-it-yourself repair on your own vehicle. The mechanics of how this works are quite simple: hair dryers produce heat and, under certain temperatures, metal is malleable. This means you can shape metal, including parts of your car's body, when it is hot enough. The hair dryer dent removal method won't work on a car that's been totaled, but it generally works well on smaller dings and depressions in certain portions of your vehicle. 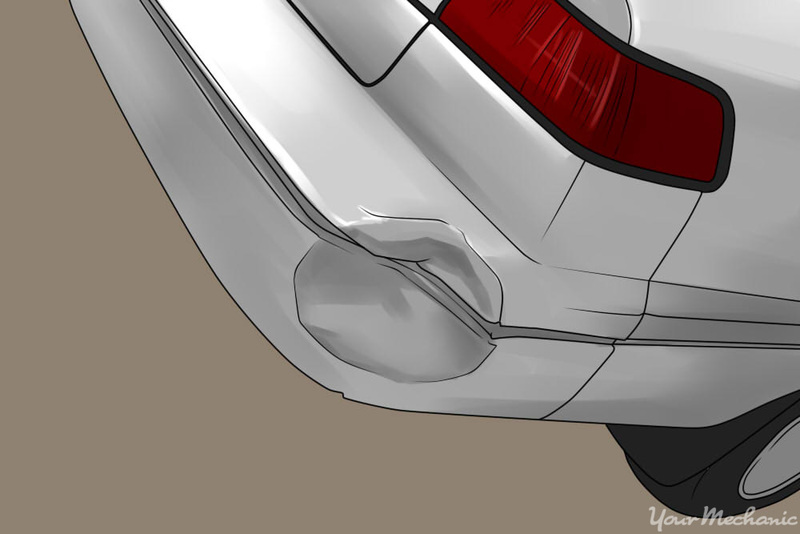 To assess if your particular dent is a good candidate for this repair method, first look at its location. Step 1: Note where on the car the dent is located. 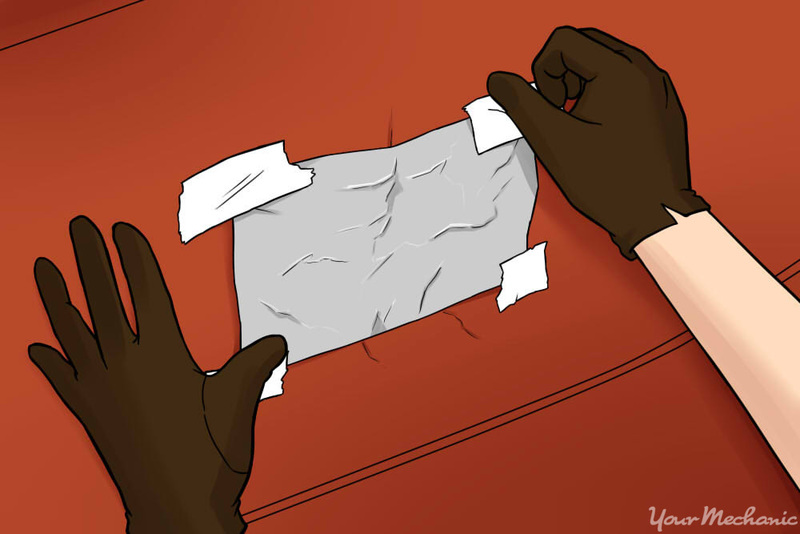 Smoother surfaces like the trunk, hood, roof, doors, or fenders are all good candidates (it’s far more difficult to remove dents on curved or creased portions using this method, although not impossible). Step 2: Measure the dent. If your depression is three inches or more in diameter (and therefore relatively shallow) and has no visible damage to the paint, you are more likely to find success in removing it using a hair dryer. There are actually two ways you can use a hair dryer to remove dents in a vehicle. One uses compressed air in conjunction with the heat produced by your hair dryer while the other employs dry ice. Both methods are generally effective on dents that are good candidates for such removal, but many people are more comfortable using compressed air than dry ice. 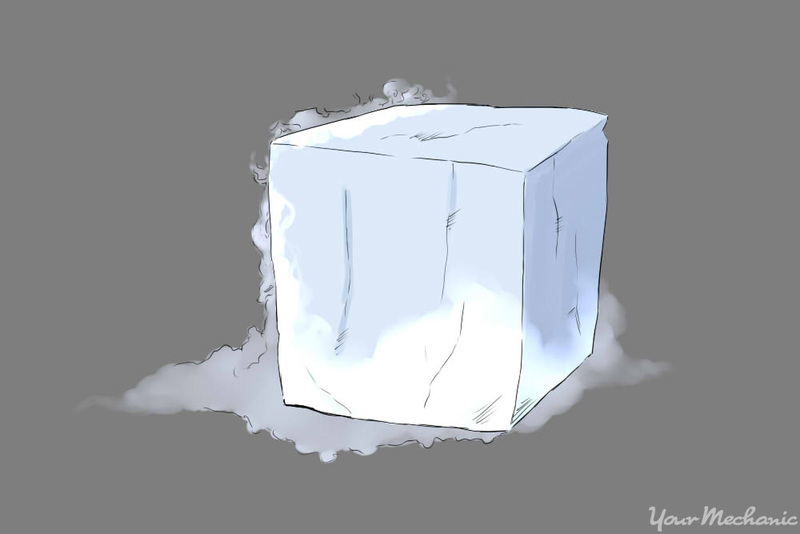 Also, in some areas, dry ice may be more difficult to obtain. In either case, it is important to have the proper gloves to protect your skin while you work – ideally insulated gloves with a rubber coating. Step 1: Make area accessible. If possible, make both sides of the dent easy to reach. For instance, open the hood if that is where it is located. Step 2: Heat dent. Turn your hair dryer on, using a medium heat setting, and hold it between five and seven inches away from your car's body. Depending on the size of the dent, you may need to wave it in a back-and-forth or up-and-down motion to thoroughly heat the area. Step 3: Assess malleability. Wearing gloves, assess the malleability of the metal after two minutes of heating by gently pressing on the underside or outer edges of the dent. If you feel movement, proceed to the next step. Otherwise, heat the area with your hair dryer for another minute and test again. Step 4: Spray dent with compressed air. Shake the can of compressed air and spray the dent while holding the can upside-down (still wearing heavy-duty gloves). Continue to spray the region until the metal pops back into its original shape, usually between 30 and 50 seconds. Step 5: Wipe dry. Gently wipe the liquid residue produced by the compressed air from area using a clean, soft cloth. Step 1: Heat dented region. As in the previous method, do your best to access both sides of the dent and heat the dented region with your hair dryer until the metal can be shaped. Step 2: Place aluminum foil over dent. Place a piece of aluminum foil over the dent, using masking tape at the corners to hold it in place. This protects your paint job from damage caused by the dry ice. Step 3: Rub dry ice. 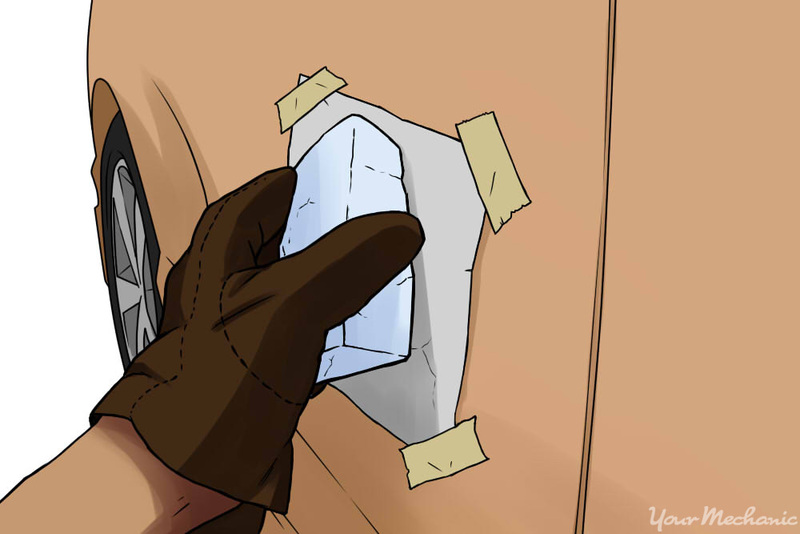 Wearing your heavy-duty gloves for protection, grab a block of dry ice and rub it across the aluminum foil until you hear popping, which is usually under one minute. Step 4: Clean up. Remove the aluminum foil and dispose of it in a trash receptacle. While most people understand how using the hair dryer to make the dented metal soft enough to reshape, the purpose of using compressed air or dry ice isn't always as quickly understood. Both products are extremely cold, so, once the hair dryer has made the metal warm enough to expand, the sudden drop in temperature causes it to contract and take its original shape. Tip: If, after using one of the hair dryer dent removal methods, your ding or depression has lessened in severity but hasn't completely regained shape, you can repeat the process. When repeating one of these methods, be sure to wait at least a day between attempts. This is because it can cause damage to your paint job if the dented region changes drastically in temperature too much in a short period of time. Q: I have a small indentation on my bumper. What is the best way to get it out?